The bright Mediterranean light that illuminates the land and cities of Israel inspires me. Israel’s unique nature and history tells its haunting stories everywhere I look. 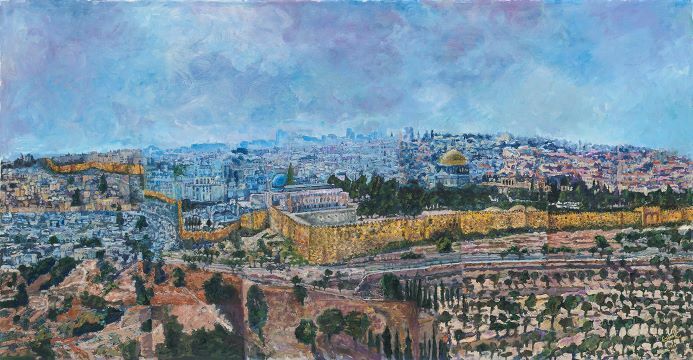 From Jerusalem, a spiritual symphony for the heart and soul, to the cool sophisticated modern urban centers, to its beaches, mountains and deserts; I want to tap into the song, spirit, energy and rhythm of this place and capture it on my canvas. So much of Israel is in a state of flux and growth, which makes it a very compelling subject. Kreisman’s paintings consists of the unique fusing of traditional oil/acrylic painting with modern digital techniques. In a complex, multi-step process where the painting comes to life ultimately on canvas, the artist digitally arranges, splices and montages hundreds of photographs, placed into dozens of layers in Photoshop; then continues with application of brushwork and effects to form a reconstructed digital composition. These works are printed onto canvas as an under-painting, and finally completed with oil or acrylic paints (approx 50 – 90%), that may include metallic paints and gold leaf, for added texture, color and dimension. Esther (aka Estee) Weiser Kreisman’s interest in art began in early childhood. She attended art schools and has a degree in Fine Arts from Pratt Institute. Born in New York, she now lives in the Tel Aviv suburbs of Israel and has her studio there. Prior to 2008, she painted occasionally while making a career in graphic design and art direction. Focusing now on fine arts, she is creating art that combine her talents, skills and experience in both digital design and acrylic/oil painting. Her unique style reflects a complex multi-step process, fusing modern digital techniques and traditional painting. 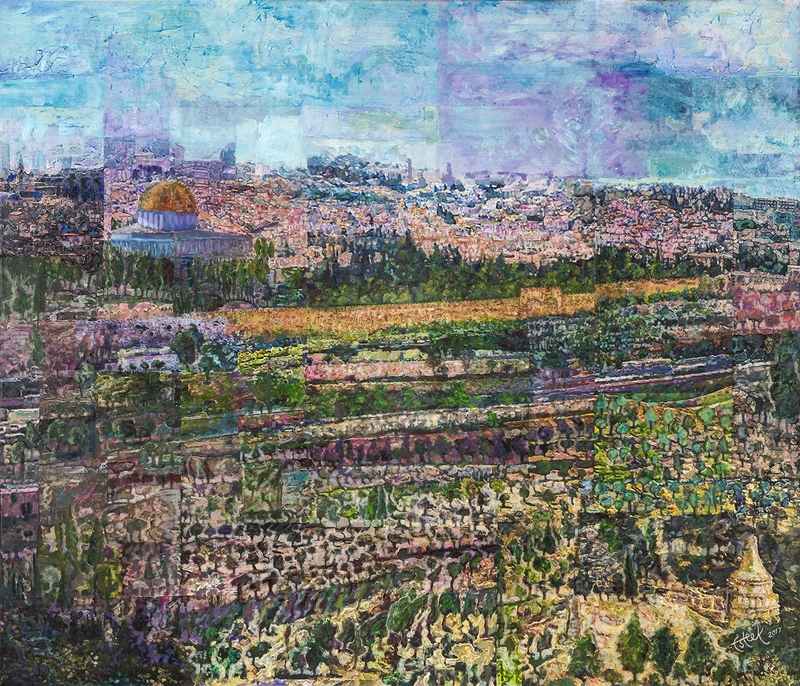 Her compositions are filled with color and texture, exploring the gritty and soulful charm of Israel, and the modern and ancient architectural structures of Israel’s urban centers. 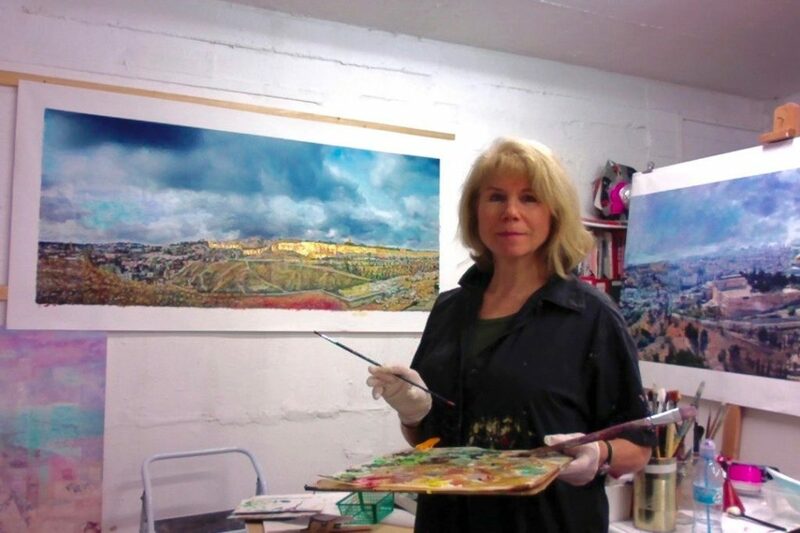 She has been exhibiting her paintings since 2008. Her paintings are in galleries and international collections, both corporate and private.